NCTC [i.e. the National Counterterrorism Center] maintains its statistical information on the U.S. government’s authoritative and unclassified database on terrorist acts, the Worldwide Incidents Tracking System (WITS). Muslims continued to bear the brunt of terrorism …. In cases where the religious affiliation of terrorism casualties could be determined, Muslims suffered between 82 and 97 percent of terrorism-related fatalities over the past five years. Muslim majority countries bore the greatest number of attacks involving 10 or more deaths …. According to a 2009 report published by the Counter Terrorism Center at the United States Military Academy at West Point, Al-Qaeda kills over seven times more Muslims than non-Muslims. The UN reported last year that Muslims are the largest victims of ISIS in Iraq. While she doubts that 95% of terrorism victims are Muslim, she thinks the truth might not be far off. In other words, the vast majority of Muslims not only condemn ISIS … but they are actually bearing the brunt of ISIS’ cruelty. We Muslims despise these crazy people more than anyone else does. True, ISIS is compromised of people who claim to be Muslims. But the number one victim of this barbaric terror group is Muslims. That’s undisputed. ISIS has killed thousands of Muslims across the Middle East, including beheading Sunni Muslims in Iraq for failing to pledge loyalty to them, executing Imams for not submitting to them, and even killing an Imam in Iraq for simply denouncing them. Indeed, if we want to stop ISIS, one of the most important things we can do is publicize the fact that ISIS is killing more “fellow” Muslims than any other victims. This will destroy ISIS propaganda that they are focused on a jihad or “holy war” against Christian and Jewish “occupiers”. The group’s killing of Westerners gets attention. But ISIS has killed far more Muslims, and publicizing that fact would harm it more. Last Thursday, the United Nations released a report that could provide us with one of the keys to defeating ISIS. Unfortunately, it received almost zero media attention.What makes this 26-page report (PDF) so powerful is that it describes to us the gruesome circumstances in which ISIS has killed fellow Muslims. We are talking beheadings, killing of women for objecting to ISIS’ policies, and executing Sunni Muslim clerics for refusing to swear allegiance to ISIS. Why is this important? This information can hopefully help dissuade other Muslims from joining or financially supporting ISIS. And it may even persuade other Muslim countries to join or increase their efforts in fighting ISIS. The reason being that slaughtering fellow Muslims is seen as universally wrong across the Muslim world and as a violation of Islamic values. In fact, Al Qaeda has even publicly criticized ISIS for this very conduct. 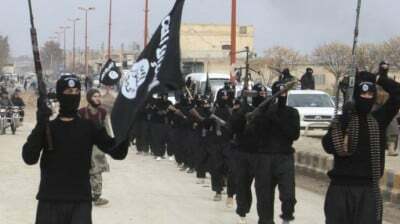 The leaders of ISIS are very aware that the killing of fellow Muslims—especially Sunnis- could hurt their cause in attracting support from the Sunni Muslim world. In fact, ISIS is so concerned about the possible backlash that the group’s leaders addressed this subject (PDF) in the latest issue of its online magazine. I wish the media would give more coverage to ISIS’ crimes against Muslims. The publicity would hurt the group’s cause tremendously, and it could also make the case to my fellow Americas that this fight is not Islam versus the West. Rather, it’s everyone who doesn’t want to live under ISIS’ brutal dictatorship versus ISIS. And those Muslims who gave their lives fighting against or refusing to give into ISIS in our common struggle should be recognized in the media for their bravery. It would be very powerful to see images in our media of the Muslims killed by ISIS, not just Westerners. Unfortunately, Western governments are increasing the threat from terrorism (all of the countries we’ve “regime changed” have descended into brutal chaos, allowing ISIS and other terrorists to spread) … instead of doing the things which will stop terrorism. One of those things is to publicize the fact that most of ISIS’ victims are Muslim, as it will destroy ISIS propaganda. Postscript: Most of the terror attacks in the U.S. and Europe have actually been carried out by non-Muslims. And despite the appearance that we are all about to be killed by terrorists, the truth is that we are much more likely to die from a boring or bizarre accident than at the hand of a terrorist … even the fear of terrorism is arguably more dangerous than terrorism itself.